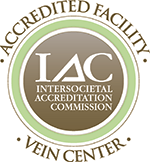 Sclerotherapy is a noninvasive procedure to effectively treat spider veins and varicose veins. During this procedure, your doctor injects a special solution directly into your vein, causing it to scar, collapse and eventually fade and disappear. If your doctor has recommended sclerotherapy in RI or MA, call 508-973-2213 to schedule an appointment at our Southcoast Vein Center in Dartmouth, MA or our outpatient vein clinic in Middletown, RI. Sclerotherapy is often recommended as a cosmetic treatment for varicose and spider veins. You might be a candidate for sclerotherapy if your veins are dark purple or blue in color, or if they appear to be twisted or bulging. At Southcoast Health, our vascular surgeons offer effective varicose vein treatment to help you get back to a normal routine with less pain and discomfort. Consult a vein specialist to learn more. A trained vascular surgeon or endovascular surgeon will perform this procedure in an outpatient surgery center. You will not need general anesthesia for this procedure. Your surgeon will insert a very fine needle into your vein, and inject a solution to cause the vein to swell and block the flow of blood. Your surgeon will then apply a compression pad to control bleeding in the area. Eventually, the vein will scar and disappear and your body will redirect blood flow to other veins. Sclerotherapy typically takes less than an hour, and you’ll be able to return home the same day. You’ll be able to get up and walk around after your procedure. To aid the healing process, you may need to wear compression stockings or bandages for up to two weeks. After sclerotherapy, it may be helpful to have someone drive you home after your procedure. You’ll be able to return to normal activities, but your doctor may recommend limiting strenuous activity for two weeks. Talk with your doctor about avoiding sun exposure during this time, as this can lead to dark spots on your skin. In most cases, you can expect to see results in three to six weeks. If you have larger veins, it may take three to four months. Southcoast Health provides noninvasive treatment for varicose veins, including sclerotherapy, in Dartmouth, MA and Middletown, RI.